t*rexes and tiaras: Oh wait, you're fossilized.. Things are back to normal now, really. For the next week or so anyway. I have no spare time, but this is nothing new. Juggling far too many things as ever. 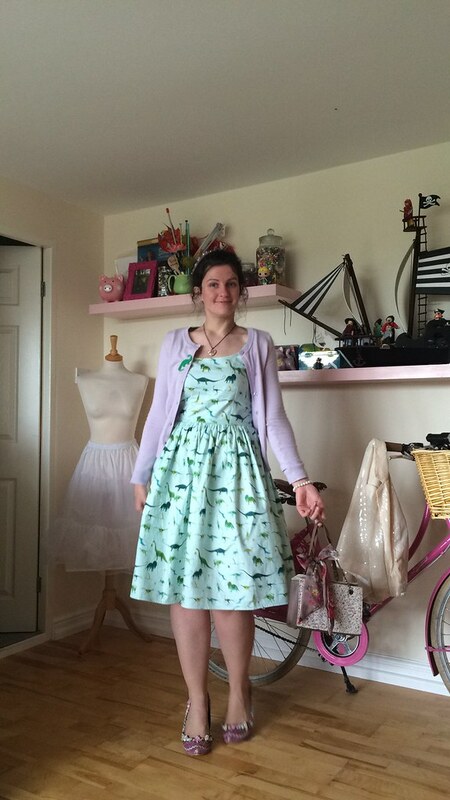 Here's one of my recent makes - this dinosaur print fabric is yet another to add to my collection of homemade dinosaur dresses. 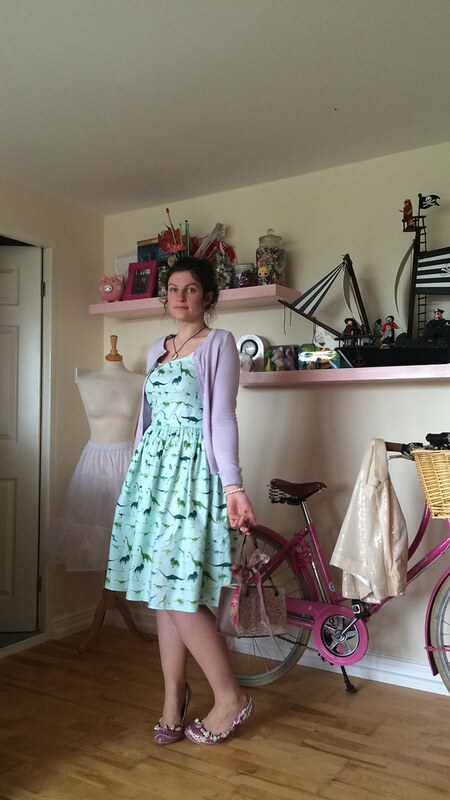 I love the pastel colour scheme on this and decided it would make a great Betty dress, to which I added some little bows on the shoulders. Sticking with the pastels, I dug out some absolute favourite shoes, which I've had for many years and almost worn to death. They're certainly much more loose on my feet than they were ten years ago. 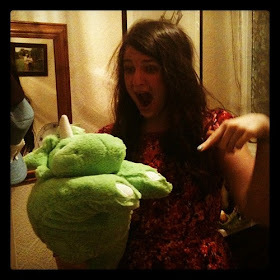 I love this dinosaur brooch, which Sarah sent me for my birthday. She's a present buying genius, that one. 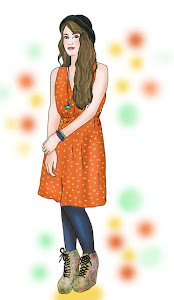 I love this dress, the pattern is wonderful and I love pastels :) I wish I was talented enough to make my own dresses! I can't see a dinosaur anything without thinking of you now. The brooch is perfect! I love everything about this outfit! 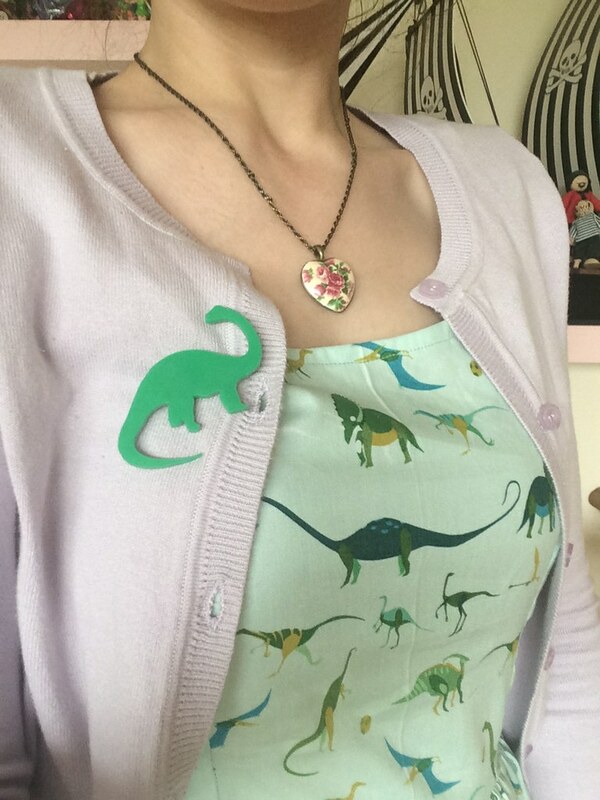 One can never have too many dinosaur dresses ;) And yay for a matching dinosaur brooch!